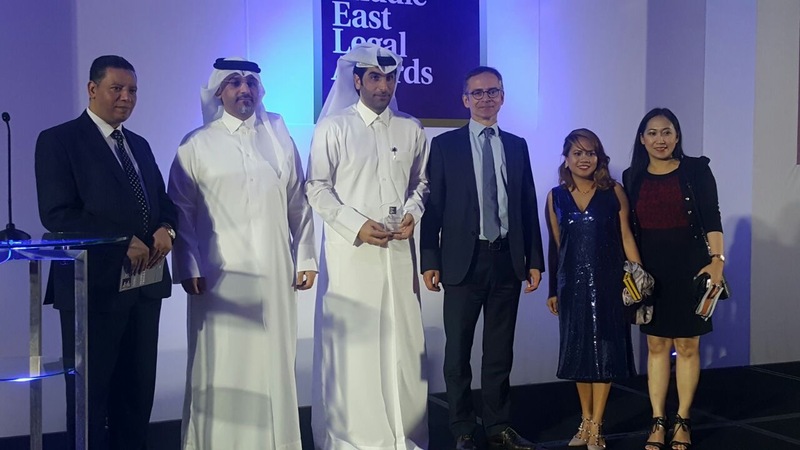 Last Thursday, Al-Ansari & Associates was named as highly commended for the CSR Initiative of the Year during the Middle East Legal Awards 2017, a recognition in the category amongst other highly-reputed international firms. In addition, Mr. Salman Al-Ansari was awarded the ACC Middle East Achievement Award 2017 based on his work in relation to the promotion of the welfare of professional footballers in Qatar, being recognized for having established the infrastructure and professional bodies to promote the sport and players, and furthermore for his advice to the Government on important football issues. His work is particularly significant as it is a first for the Middle East and establishes the framework from which other Middle East countries can follow. Specifically, he oversaw the establishment of the Qatar Sports Arbitration Tribunal and also the Qatar Players Association, which represents the welfare of over 630 members, or players, and for which he managed a collective bargaining agreement for their benefit. His work is underpinned by his insistence that all football related bodies uphold international standards and best practices for the advancement of player rights.